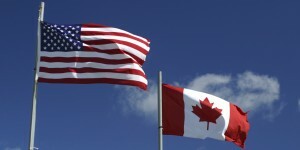 In short Canadian Employees enjoy significantly stronger protections and rights than their American counterparts. In Canada, an employer can terminate an employee for any reason they choose, however they must provide that employee with sufficient notice, which, in the absence of an effective termination clause, means both Employment Standards Act, 2000 minimums and reasonable common law notice. In America, an employer does not have such an obligation, even wherein there is insufficient cause to terminate the employee. This principle, called “at-will” employment, means that an employer can terminate an employee at any time, without reason and without severance/termination pay (unless there’s an employment contract which provides for termination pay in the event of a without-cause dismissal, of course). The Employment Standards Act, 2000 and similar legislation in Canada’s other provinces and territories allows for overtime pay at 1.5 times an employee’s usual pay, wherein their weekly hours exceed 44 hours, and wherein their employment capacity does not meet the definition of “supervisory” or “managerial”, among other exceptions (some related to employment in law or internet technology, for example). There is no wage cut-off for overtime, so even non-managerial employees earning well over $100,000 a year can get overtime. For instance commission sales people. In America, employers are required to pay overtime wherein an employee earns less than $23,660.00, on a statutory basis, as per the Department of Labour regulations. Workers who earn in excess of this figure will be paid overtime, but only on a discretional or contractual basis- in other words, the decision is up to the employer. 5. The impact of the accommodation upon the operation of the facility, including the impact on the ability of other employees to perform their duties and the impact on the facility’s ability to conduct business. In Canada, federal privacy legislation works to benefit workers’ privacy expectations within the workplace. As discussed in another blog post (https://www.monkhouselaw.com/workplace-privacy-what-is-protected/), there is a very specific definition as to what constitutes a privacy violation. While viewing of a work computer by management is permissible, the scope of the information obtained should be that viewed in an occupational capacity. In America, an employer is generally permitted to view employee electronic devices absent an establishment of this distinction. American law has also been criticized for the fact that it permits random drug testing within workplaces (See: https://www.aclu.org/privacy-america-workplace-drug-testing). In Canada, non-competition and non-solicitation clauses are typically found unenforceable. The clauses are prima facie invalid on the grounds that they purport to inhibit trade and healthy competition, unless the employer can satisfy that the clause is reasonable and necessary. In Elsley v. J.G. Collins Insurance Agencies Ltd. 1978 CanLII 7 (SCC), Justice Dickson’s main view on such clauses was that they would only be enforceable wherein the nature of the employee’s employment is “exceptional”. Conversely, in America, such clauses are more easily enforced. In Corporate Technologies, Inc. v. Brian Harnett and OnX USA LLC, No. 13-1706, decided in Massachusetts in 2013, the employer sought to enforce a restrictive covenant prohibiting the employee from engaging “in any marketing or sales efforts….for a period of twelve months” with respect to some of its customers. The court sided with the employer and enforced the clause. 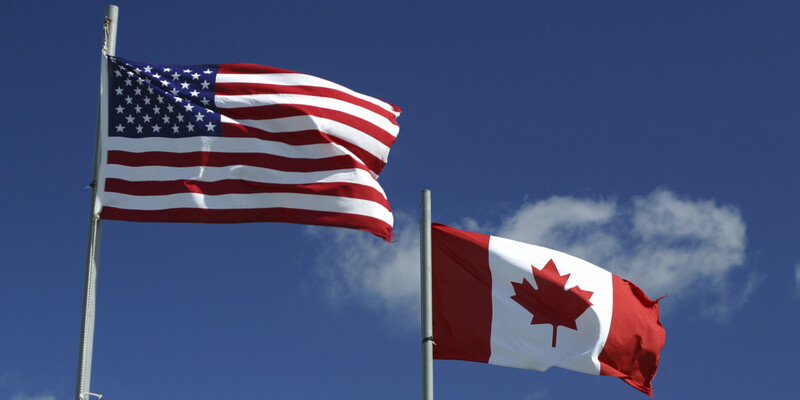 If you are an American-situated company utilizing a geographically-Canadian workplace and workforce, it is important to be up-to-date on your Canadian employment law. If you are unsure as to whether your company is meeting Canadian employment standards, contact Monkhouse Law today for a free consultation. As the above differentiations illustrate, just because you are employed by an American company does not necessarily mean you will be bound by American employment standards. If you believe that your employment rights have been violated within your workplace, contact Monkhouse Law today for a free consultation.